The conversational robot has received considerable attention in the recent research. However, research to date has not sufficiently explored the robot's "sense of conversing", the robot's "existence" and its "sociability". In response to this gap in the research, ERATO ISHIGURO symbiotic human-robot interaction project has launched, in which the project leader Prof. Hiroshi Ishiguro (Osaka University) and his team members have developed a humanoid robot with the ability of a human-like conversation. In this project, they have focused on the affinity process that emerges during the move of the robot with a human. In order to promote an active role of conversational robots, a child-like android named "ibuki" was developed. "ibuki" was designed to be able to walk (move) together with the human by using equipped wheels. 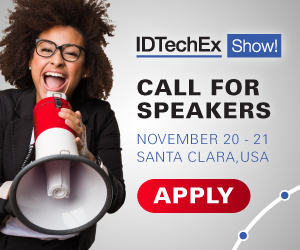 For more information see the IDTechEx report on new robotics and drones. Firstly, a multimodal recognition system utilizing the camera, microphone array, etc was developed. Next, in order to set a technological foundation to facilitate the interaction of the robot with the human, a conversation control system was developed that can control the speech, motion, gaze, and emotion of the robot based on its intention and desire towards making the human feel more a human-like existence of the robot during the interaction. Although the experiment for the verification of the system was conducted for a short period of time, including having conversation with a visitor in a waiting room; it has proved that the android "ERICA" is able to conduct natural conversation and increase the perceived existence of the robot by the human, which are less likely to be achieved by using the other well-known robots. Finally, to develop the required conversation system technologies for a robot which attempts to "coexist" with the human, and also to investigate a platform for a conversational robot performing in the daily life of the human, "ibuki", a child-like android with a moving unit was developed in this project. It has been developed not only for the purpose of enabling the movement of an android robot but to promote the technologies in the interactions inducing the affinity with the human by walking together. It is expected to achieve an autonomous conversational android, which is able to have activity in human's daily life.